Kincaid is responsible for the leadership and operations of competitive programs for U11-U12 girls, including player development, coach development and parent education. Kincaid previously served as the U4-U10 Program Director before moving to focus on the competitive girls’ side of the club. In addition to her role with the youth club, Kincaid also works for Colorado Soccer Association Olympic Development Program as a state staff coach (2001, 2004 Girls) as well as with U.S. Youth Soccer Region IV as region camp staff coach (2004 Girls). 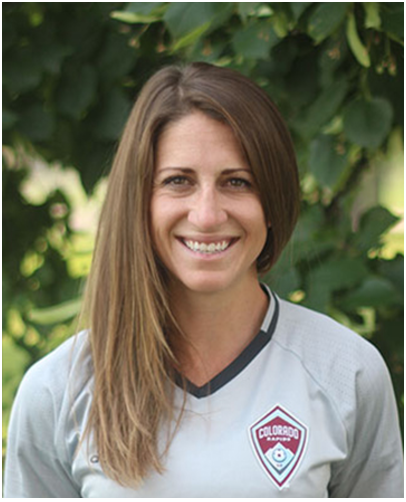 Prior to joining the Rapids Youth Soccer Club in 2013, Kincaid began her career in 2009 coaching U11-13 competitive girls teams at FC United of Florida, now PDA of Florida. She served as the Interim U10 Academy Director there before moving to Colorado to join the Rapids staff. Kincaid was a four-year starter at Flagler College in St. Augustine, FL where she majored in Spanish and earned All-Independent and All-Conference honors. Before that she played for IMG Soccer Academy on its youth and W League teams in her hometown of Bradenton, Florida. Kincaid holds a U.S.S.F. National “B” License and National Youth License and resides in Denver, Colorado.